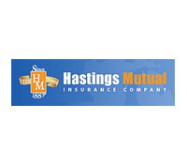 Hastings Mutual is an award-winning, regional Property Casualty insurance company founded on conservative, local values. We are committed to offering top quality commercial, farm, and personal insurance products to our customers through a network of independent agents who are demonstrated experts in their field. In addition, our talented employees are committed to providing excellent service to our agents and policyholders.